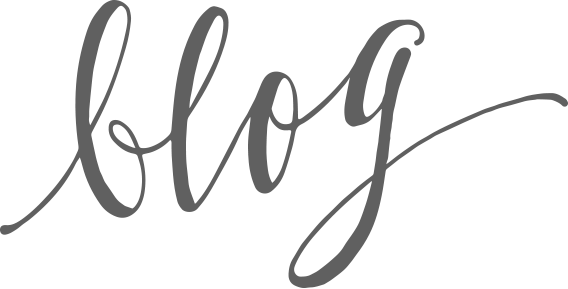 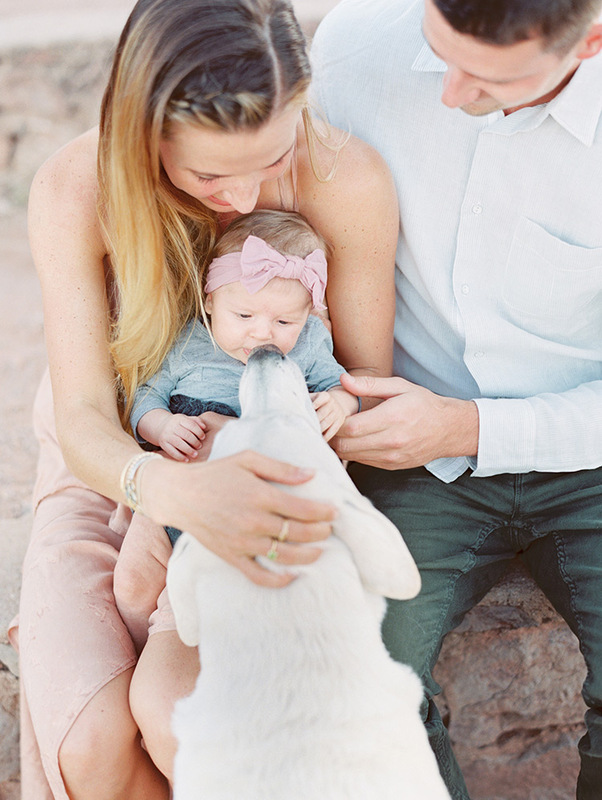 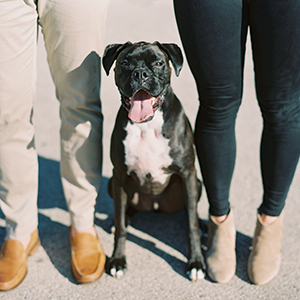 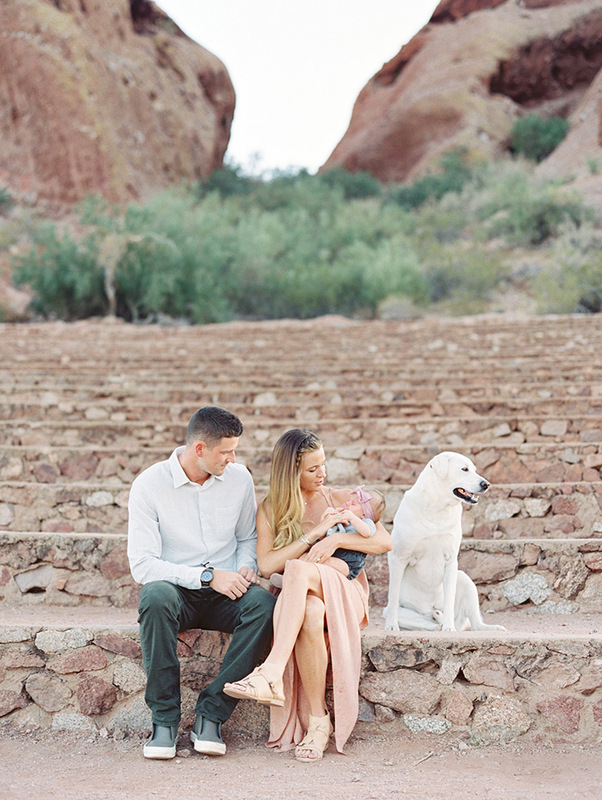 Though I adore photographing families and pets, the addition of babies and dogs to any photo shoot can oftentimes make it more unpredictable and challenging to capture a good variety of amazing images. But that was not the case with Drew & Eryn's family! 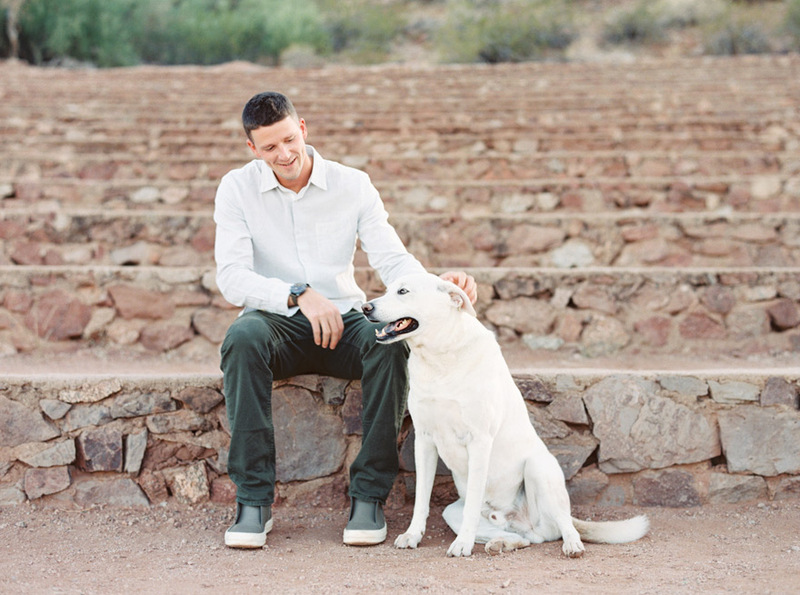 Their dog, Tye, has traveled the world with them and is one of the calmest, most laidback dogs I've ever met! 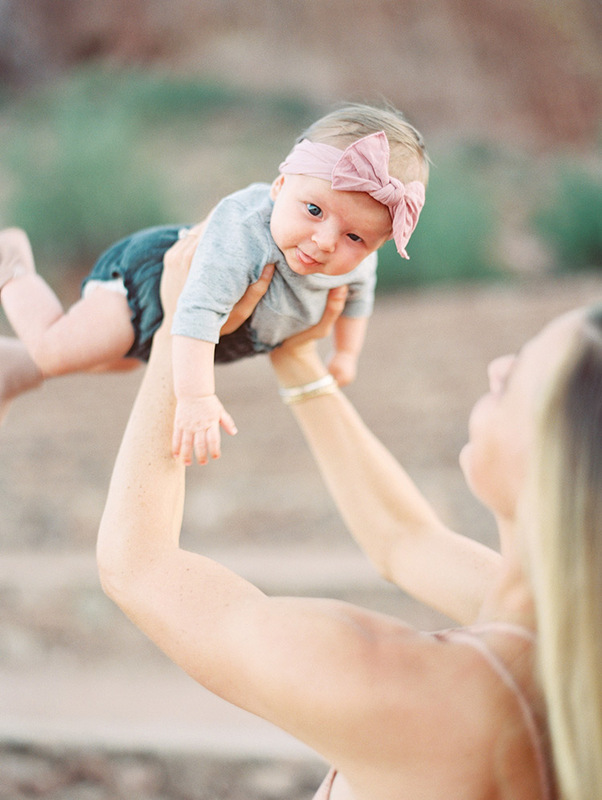 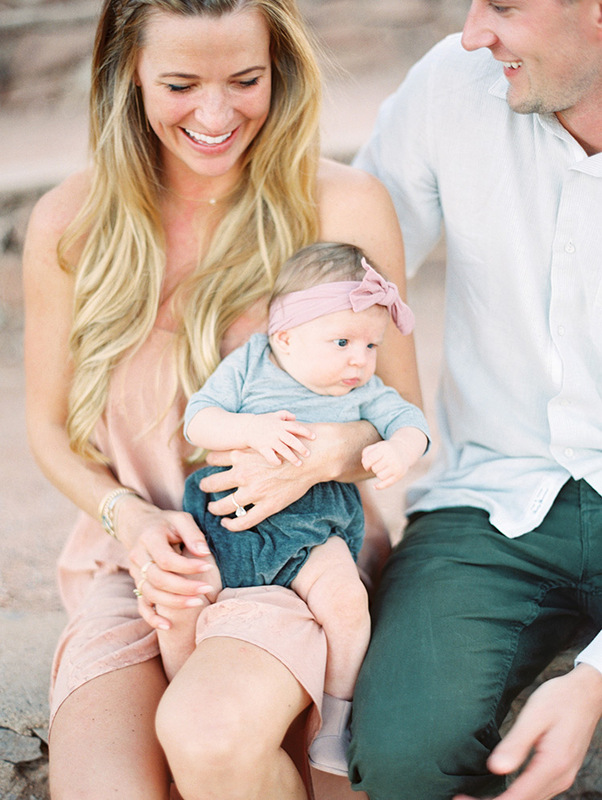 And though their daughter, Parker, was only three months old when we took these photos, she was such a sweet, cheerful baby! 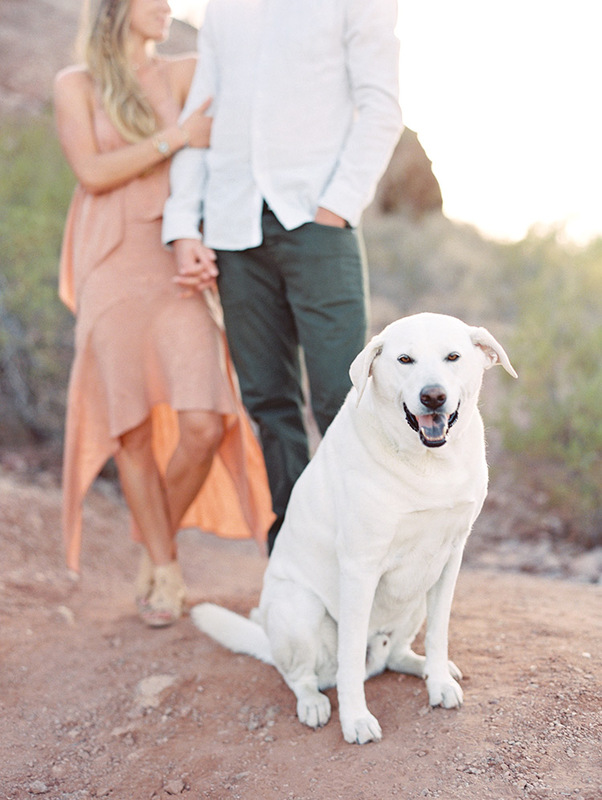 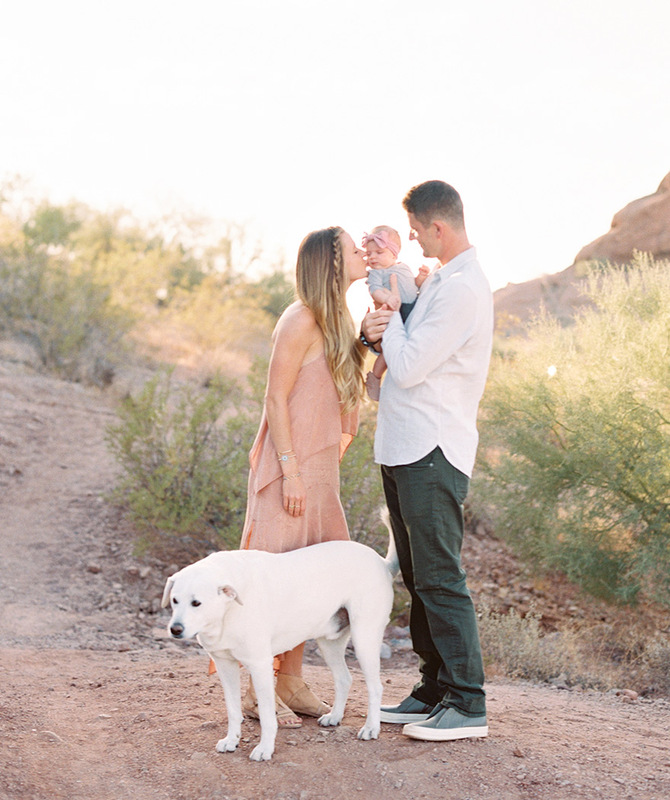 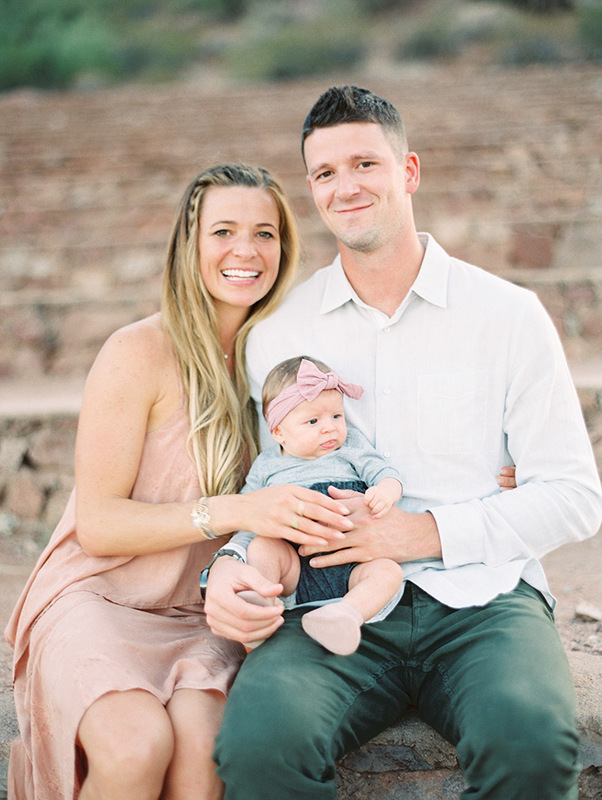 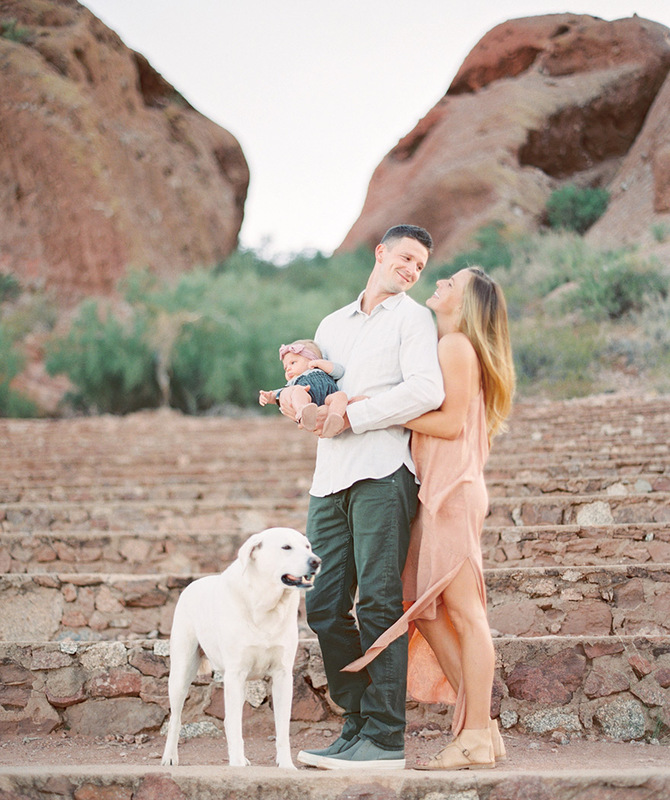 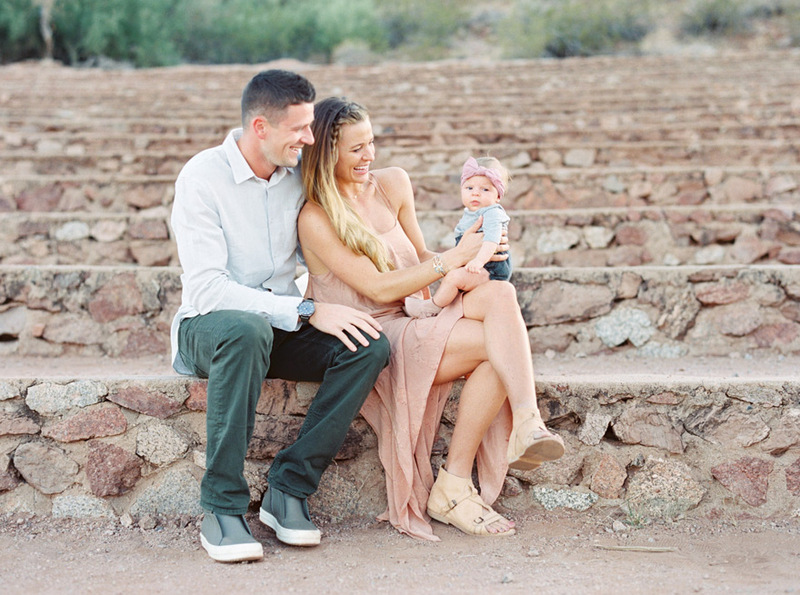 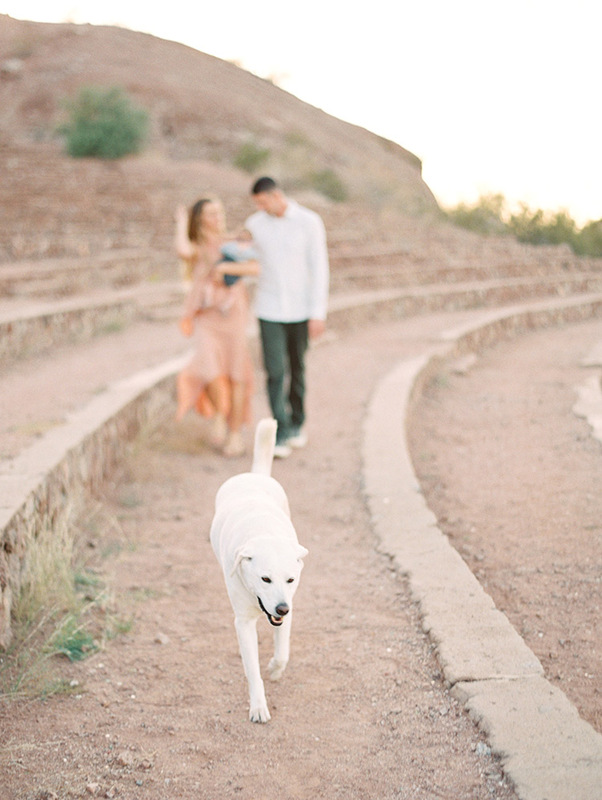 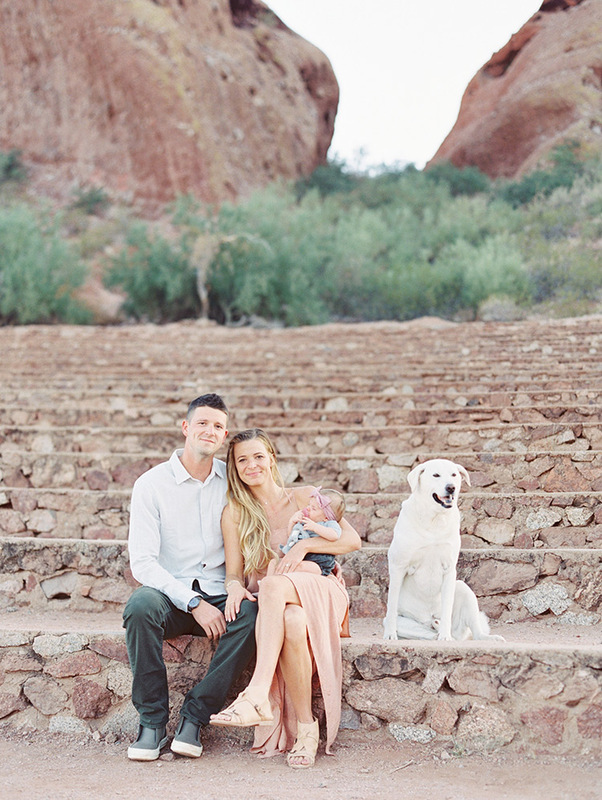 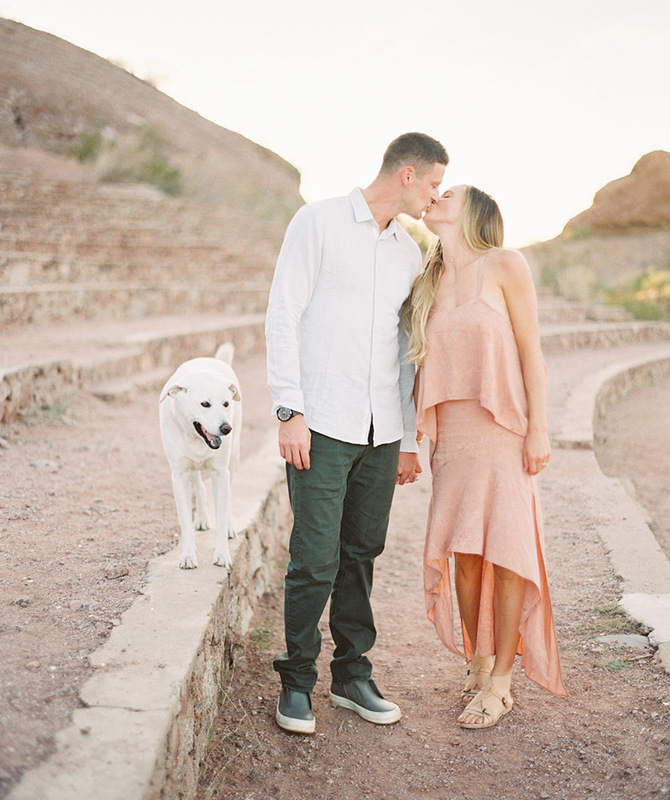 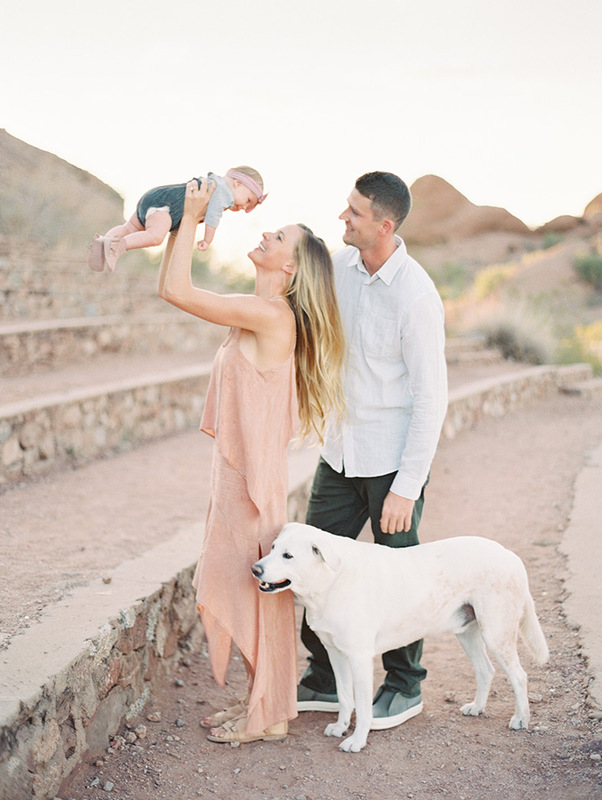 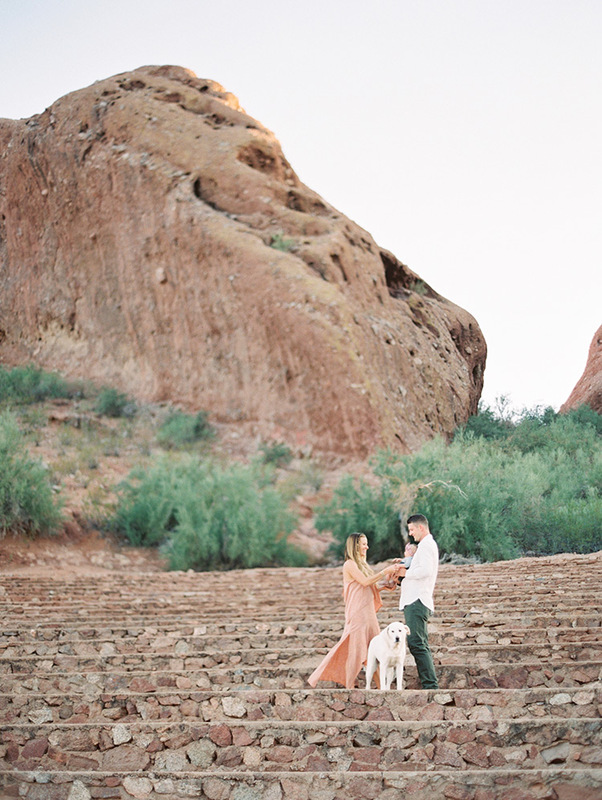 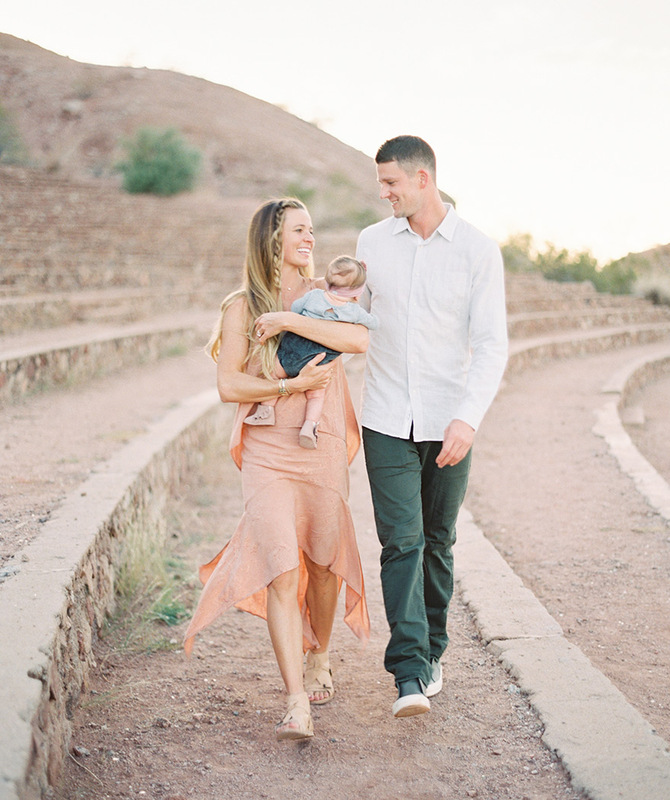 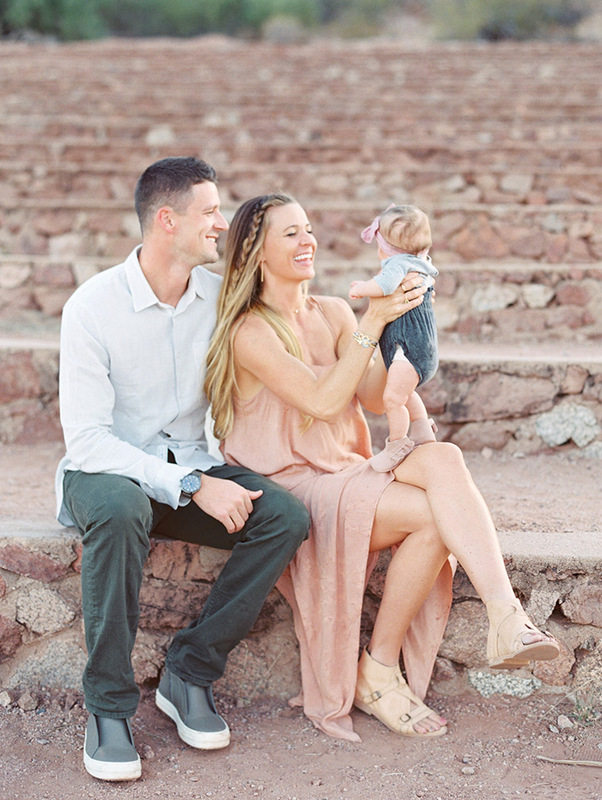 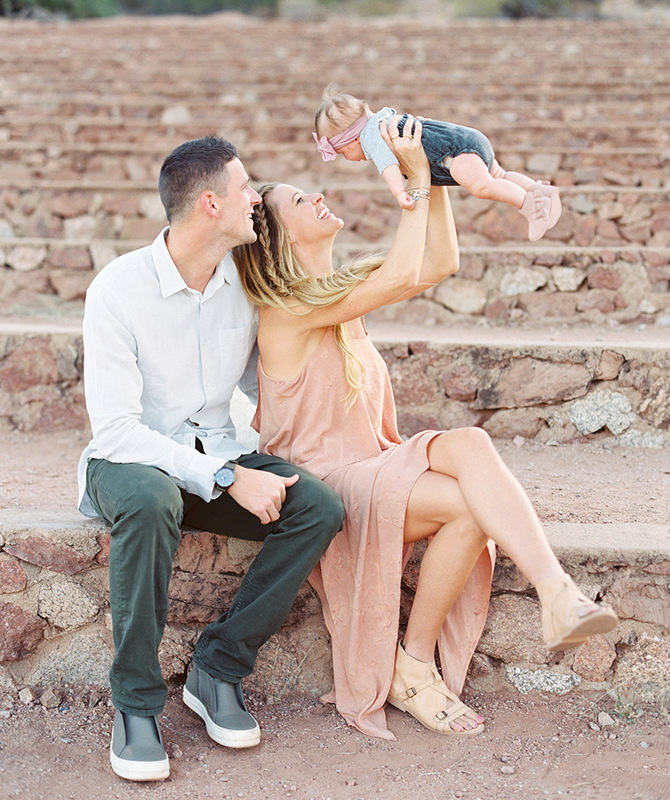 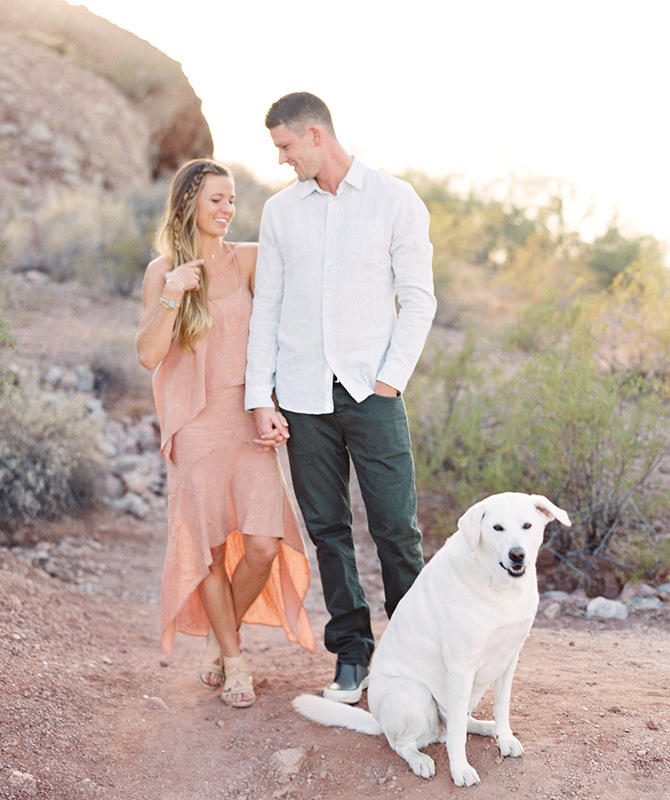 I loved photographing Drew & Eryn with their family at Papago Park. 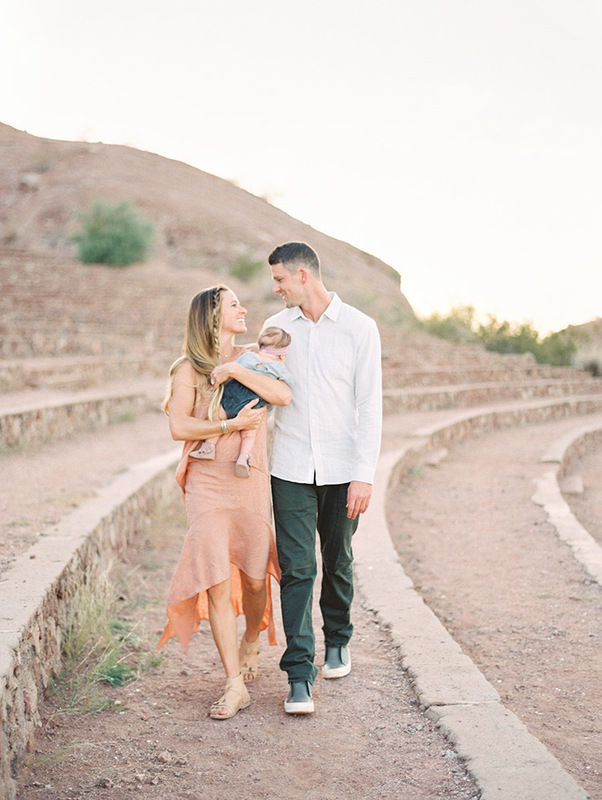 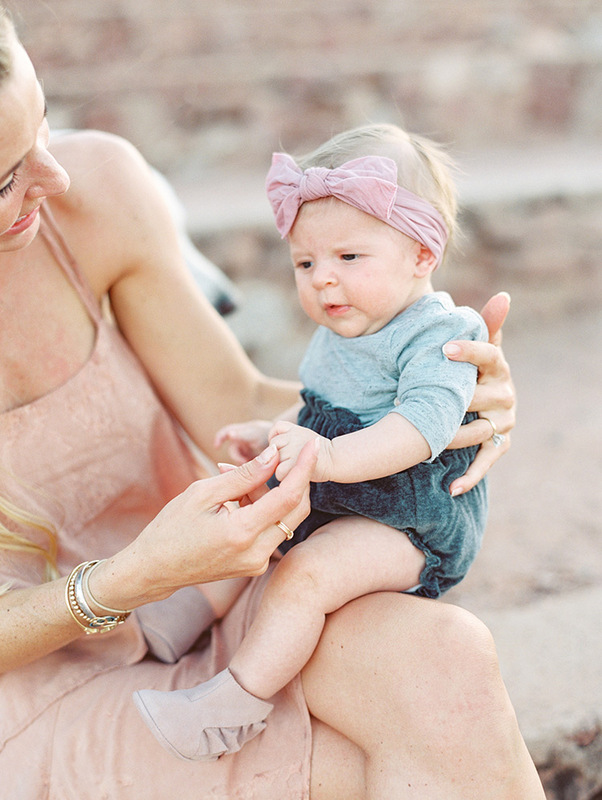 Everything felt easy and natural, from the loving connection between these two to Eryn's great, organic sense of style. 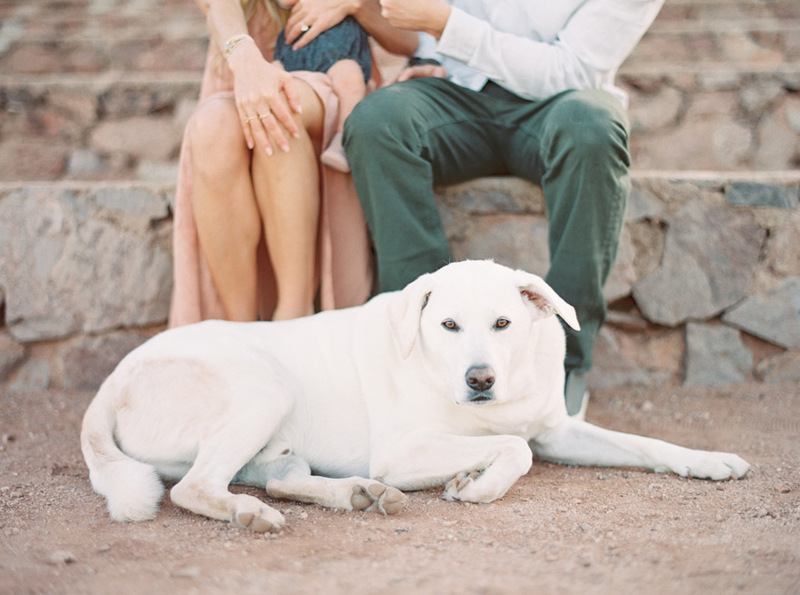 I can't wait to get them in front of my camera again next month when I photograph their wedding!